Ernesto vs. Bastian – Exclusive mix for bejbi.se. The 25:th of our series of exclusive mixes..
Click ”see the rest of this entry” to read more about Ernesto vs Bastian and to download the mix. For the better part of the last decade Ernesto van der Meij & Edwin Koelewijn (better known to the community at large as Ernesto vs. Bastian) have been crafting their very own electronic dance formula. In that time the Dutch duo have propelled themselves to the forefront of trance (& dance) culture, through stellar productions, revered remixes and show-stealing DJ performances. With Ernesto at the deck controls and Bastian as the master studio-head, together they form a perfect musical symbiosis. With club hits like ”Who’s The Starter”, ”Stranger In Paradise” and ”Thrill” and all-out anthem-calibre works like ”Dark Side of the Moon” in their discography, they’ve brought roadblock queues to dancefloors the world over. Meeting in 2001 Edwin and Ernesto quickly recognised not only a musical affinity, but also the essential chemistry to form a lasting production partnership. They collaborated quickly throughout 2002/03 on the highly-regarded ”early years” releases ”Lonely People”, ”Bastian’s Dream”, ”Who’s The Starter” & ”A Seconds After Trancefer”. The latter two tracks were picked up by the fledgling Anjunabeats offshoot Hard On Recordings and on their UK release brought the pair to the to the attention of Judge Jules. With the tracks given much airtime, it set the stage for a happening that was to give E vs. B the most incontrovertible of career breakthroughs. Wholly unique (in so much as it was not only entitled ”Dark Side of the Moon” but lyrically was actually about listening to the titular Pink Floyd album) – the release became one of 2005 biggest dance tracks. Smashed by Tiësto, Paul van Dyk, Armin van Buuren, Ferry Corsten & Judge Jules, (who picked out for the Anthem of 2005 accolade on his Radio 1 show), it was subsequently signed in 30 countries. ”Dark Side” is probably the most crystallised example of how unique & multifaceted the Ernesto vs. Bastian sound is. In measures never exactly proportioned before, it takes trance & pop and incorporates them with creative and highly innovative songwriting techniques. The track was further notable still as it marked the unification of Ernesto vs Bastian with their new label home, High Contrast Recordings. E. vs. B – The DJs: The success of that track was also a major catalyzing factor in E vs. B’s DJ career. Over the course of the 18 months following its release, they powered up the ranks of DJs, playing a near-uncountable number of high profile clubs and festivals. Mysteryland, Dance Valley & Pleasure Island have all shook to their intoxicating blend of tunes and pin-point sharp mixing. A close kinship with Trance Energy has also seen them play twice at the tent-pole event. Outside of their home country they’ve also spun at Love Parade, Berlin, in Ibiza for Mambo, live on Radio 1, at the goliath Sunrise Festival in Poland and dozens of other countries and 100s of other events worldwide. It took another 2 years for the follow ups to ”Dark Side” to start flowing. Once they were back in the seat though ”Unchained Melody”, ”Super Jupiter”, ”Laserbrain” & ”Stranger in Paradise” rapidly followed – all spreading their audio gospel to a wider and wider audience. It was also at the start of 2007 that Ernesto vs. Bastian launched their radio show platform. Since then The Next Level has been broadcast weekly in a two hour format which takes in new releases, tune of the week, the BM Soundbite & EvsB tip top 3. The show quickly took hold and is now broadcast on FM and internet stations in 30 countries. It is available as a Podcast through iTunes, where it enjoys a similarly avid following. 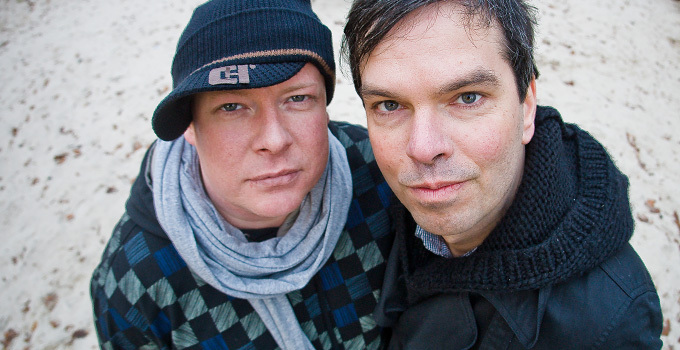 In 2008 the pair recorded the charged, viscerally exciting ”Thrill” – a track that was selected for the prestigious position of Trance Energy anthem in that year. By the middle of the year their focus shifted to the production of their debut album, ”Authenticity” (as much a statement of intent as it was simply an album title). It was released in the latter half of the year and again, through its imaginative 12 strong battery of tracks raised E vs. B name to yet greater heights. As 2009 broke the big post-”Authenticity” tracks started to roll, with the rapacious sounds of February’s ”Laserbrain” and October’s ”Killer Tone” once again bringing uproar to dancefloors. After signing to Armada Music 2010, Dutch producer-duo Ernesto vs. Bastian, once again showed trance-land what they’re made off. Their track ”Every Inch A King” was supported by Cosmic Gate, Paul Oakenfold, Dash Berlin and several other A-list DJ’s. With this single out on the Captivating Sounds imprint, the Dutch producers call in a new chapter in their musical career. ”Every Inch A King” is the first track part of their singing to Armada Music, and with their second single ”Hyper Globe” just released we can tell you.. there’s lots of exciting things ahead! Now they are the 25:th out for a series of exclusive mixes recorded for bejbi.se by our favorite dj´s, both well known, and unknown, that we will publish once a week untill we run dry. Download Ernesto vs Bastian´s Exclusive mix here (right click and save as) or listen to it live on Soundcloud or just press play below here. If you want more of Ernesto vs Bastian, check out their homepage ernestovsbastan.com for more info, and don’t miss their massive podcast, The Next Level, every friday at danceradioglobal.com.